The myths of Native Americans sustain that when their ancestors arrived in the Americas, they met an already existing population in the new lands, which they describe as mythical beings. Was there an unknown culture on the American continent the existence of which goes back to before the last Ice Age? Who were they? To find some elements that might support this idea, we need to have a look at modern DNA testing. 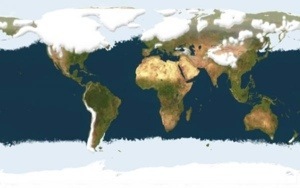 According to the prevailing New World migration model, migrations of humans from Eurasia to the Americas took place via Beringia, a land bridge that connected the two continents across what is now the Bering Strait. The most recent migration could have taken place around 12,000 years ago, with the earliest period remaining a matter of some unresolved contention. These early Paleo-Indians soon spread throughout the continent, diversifying into many hundreds of culturally distinct nations and tribes. However, modern DNA analysis sheds some new light on this theory, leaving scholars with more questions than answers. In molecular evolution, a haplogroup is a group of similar haplotypes that share a common ancestor. A haplogroup from mitochondrial DNA can be understood as a marker that can be used to define genetic populations and their migrations. In human genetics, the haplogroups most commonly studied are Y-chromosome (Y-DNA) haplogroups and mitochondrial DNA (mtDNA) haplogroups, both of which can be used to backtrack the migrations and geographical origins of our ancestors. There are five different haplogroups found within the native tribes of the Americas. In this article and for the purpose, we will focus on only one of them: the haplogroup X.
Haplogroup X is believed to be one of the original haplogroups of the continent. It is present in all indigenous people, with a bigger concentration in some tribes and areas than in others. Unlike the four main Native American mtDNA haplogroups (A, B, C, D), and the Y-chromosome sub-haplogroup Q1a3a, X is not at all strongly associated with East Asia. It is only found in small quantities in Western Asian areas, like in the Altay people in Southwestern Siberia. However, it is found in approximately 7% of native Europeans, and 3% of all Native Americans from North America. If the Native Americans migrated once over the Bering Bridge to the Americas and originated in Asia, how is it possible that haplogroup X exists in the Americas and in Europe, but not in (Eastern) Asian populations? Through the analysis of various mutations within haplogroup X, scientists are able to use that “genetic clock” to estimate the time of arrival of those early Europeans. Depending on how large a group they assume headed west, they come up with two time ranges – either between 36,000 and 23,000 years ago or between 17,000 and 12,000 years ago. It is for sure that the DNA did not arrive in America with the European explorers of the last 500 years or so. European X and American X are different enough to establish with certainty they must have diverged thousands of years ago. That is long before the age of exploration introduced European genes to the New World. 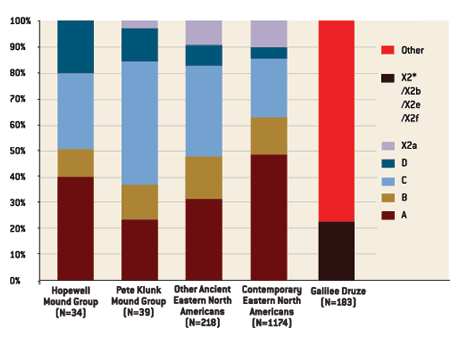 Interestingly, DNA testing on pre-Columbian Native American skeletal remains showed that haplogroup X was present in those ancient peoples in the same proportion as it is in modern Native American tribes. The results offer a completely new look on how the American continent was populated and confirm that the cultural similarities between ancient peoples on different continents might be much more than just a coincidence. Scientists try to explain these facts with new theories about the population of the New World. They believe that the Solutreans of Spain might have crossed the Atlantic using the southern Equatorial current and entered the Caribbean and Central America between 18,000 and 12,000 years ago. They would then become known as the Clovis hunters of America. Clovis, with its distinctive biface, blade and osseous technologies, is the oldest widespread archaeological complex defined in North America, dating from 11,100 to 10,700 years before present (13,000 to 12,600 calendar years bp). However, the DNA analysis of a child’s bones from 12,600 years ago, discovered in the U.S. state Montana, made scientists conclude that those early inhabitants of the American continent migrated to the Americas from Siberia and are therefore of Asian origin. The recent genetic findings mentioned above suggest also that the people now known as Gaelic speaking Celts (including Irish, Welsh, Scots, Basques and Berbers) are a remnant of a group of people who also left Spain between 18,000 and 12,000 years ago and spent 6,000 years isolated from Europe before returning, bringing the Megalithic culture to coastal Europe. Considering the cultural findings of the populations in Europe from 18,000 years ago, the question arises whether it is realistic to suppose that those people were able to travel across the ocean to reach the American East cost. Which was the motivation for them to migrate and how did they know that there was another continent on the other side? And if they didn’t know – why would they undertake such a possibly fatal adventure? These questions remain, until now, unanswered. Interestingly, this corresponds to an Egyptian popular, allegorical legend that seems to report the war-like conflicts between the gods and an evil red-haired race. The legend influenced Egyptian Afterlife traditions and led to the human sacrifice of red-haired people. Later on, as already stated in previous articles, Egypt suddenly had a red-haired king. And while this is a fact that researchers accept saying “the customs had changed in the new kingdom”, one wonders what may have happened to make Egyptian people worship a pharaoh who seemingly was the descendant of their lethal enemy. Other tribes on the American continent describe the people that their ancestors found at their arrival on the continent as mythical beings with super natural powers. This corresponds to important legends of Central and South American peoples. The Mayas and Aztecs recorded their encounters with a race of giants that lived in the north, and everywhere in the populations of the Andes Mountains we find the same legend of a tall, bearded man with fair skin who appeared coming over the ocean. He arrived in times of great trouble when the sun had disappeared and flood had devastated Earth. They called him Viracocha. The stranger was a man of incredible knowledge. He was a great architect, scientist, engineer and mason. He was generous and loving and taught people how to make a better living for themselves. He was tall, physically strong and had mythical powers that enabled him to form landscapes and create water springs. He told the people to treat each other with love and respect and do good for others. One day a group of people in a village stood up against him and threatened him physically. As he was in danger, the man suddenly fell on his knees and lifted up his hands towards the sky, and instantly a fire appeared from the heavens then engulfed him and the people who had aggressed him. They were so frightened that they dropped all weapons, seeking forgiveness. At his willpower, the fire disappeared. But the bearded man went down to the ocean and stepped into the waves. He promised to come back, but he was never seen again. The people who witnessed his farewell called him “Viracocha”, which means “Foam of the Ocean”. Nobody knows who the Viracocha was. 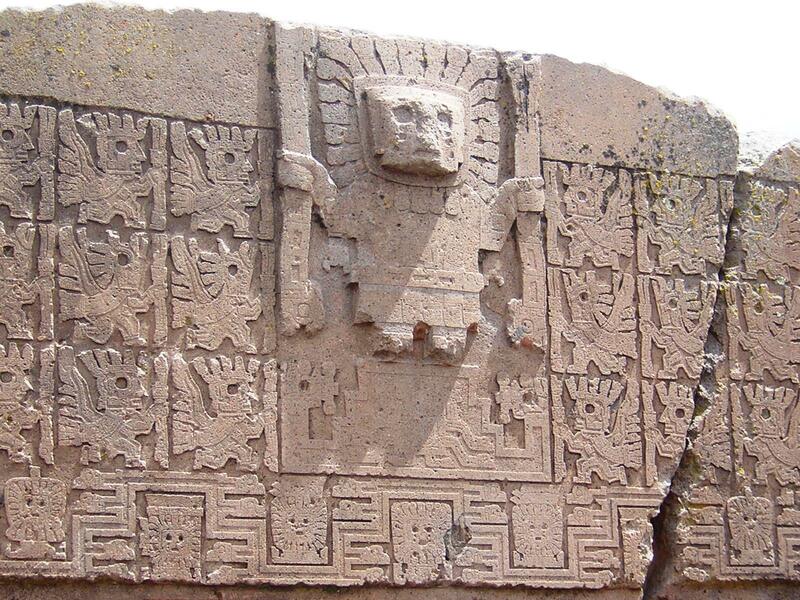 Ancient Spanish documents report that a marble statue of the Viracocha existed once in Coriancha in Peru. The statue was described as to look like Saint Bartholomeus. Other sources said that it looked like Saint Thomas. One thing is for sure: whoever he was, the Viracocha was certainly not a Native American, but rather someone of Caucasian appearance. A similar story is told about the Mesoamerican deity Quetzalcoatl. The name originates from Nahuatl language and means “feather serpent”. Many depictions show him exactly as that. The legends say that Quetzacoatl arrived coming from the ocean to the land that today is Mexico. He was described as a tall man with light skin and a beard and as a powerful if also ethereal being. Quetzacoatl brought the peoples of the area great knowledge. He was a mathematician, and it is believed that he was the one who gave the Mayas their complex calendar, based on his formulas. The Spanish who have documented the conquest of America describe the being they had heard of as a man with light skin with a long beard, tall and with a high forehead, big hazel eyes and physically strong. He refused blood sacrifices and predicated peace. Throughout the continent, Quetzacoatl was called with different names. In Chichen Itzá he was called Kukulcan, and the Quiché-Maya called him Gucumatz. Both names again mean “feathered serpent”. Other names for him were Itzamana and Votan. All these Gods brought culture and knowledge to the peoples that came in contact with them. All of them came across the ocean, and all of them went back into the waters with the promise to come back. It is very unlikely that the parallels in these legends are mere coincidence. Did the Native Americans imagine people of Caucasian appearance long before the first Europeans arrived on the continent? 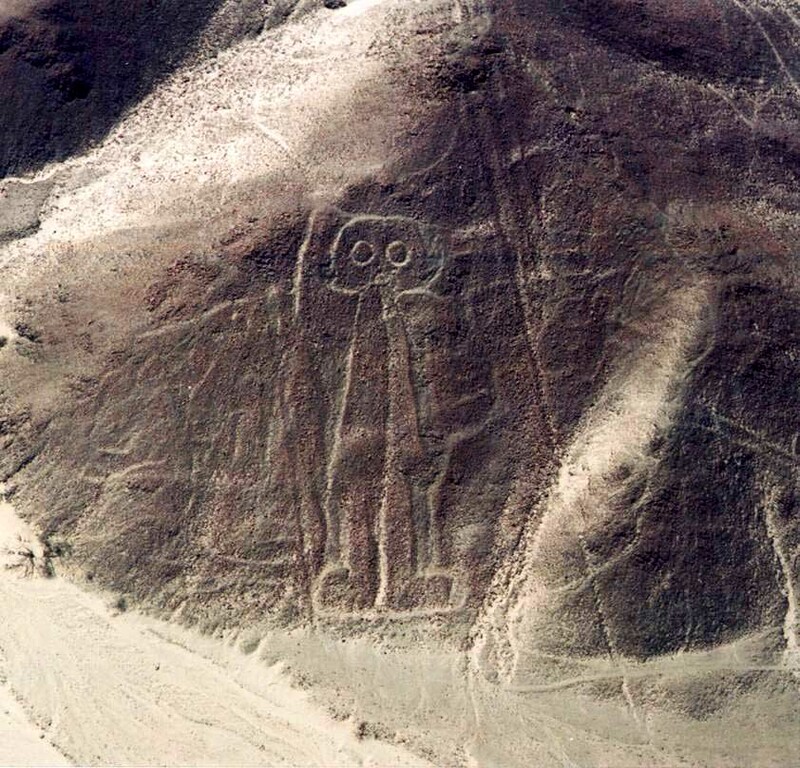 Or is it possible that they had actually seen such people before the arrival of the official discoverers? It is said today by scholars that the Spaniards who documented the conquest of Mesoamerica, might have changed the stories told to them in a way that Mesoamerican deities became more and more similar to Europeans. But it is a widely known story that when the Spanish Conquistadores under Hernán Cortés de Monroy y Pizarro reached the shores of what is today Mexico, the Aztec King Montezuma and his people went to greet the visitors and honored them as returning Gods. The Aztecs were warriors and certainly conscious of the possibility that strangers who appeared at their coasts might not have come with peaceful intentions. If the description of a light skinned and bearded Quetzalcoatl were the mere fantasy of the Spaniards, why did the Aztecs consider them returning Gods? Red-haired mummies of the Americas: survivors of a sunken continent? In North America, red-haired mummies have been found in Michigan, Illinois, New York State, Virgina, Arizona and Nevada. In South America, red-haired mummies and giant humanoid bones have been unearthed in Peru, Brazil, Chile, Bolivia, Ecuador, and Columbia. The finds had a major impact on common theories about early populations and their migrations and changed the widely accepted theory of the population of the Americas entirely, enhanced by modern genetic research. The debate stretches from theories about different simultaneous migrations into the Americas to claims about racist intentions. Fact is, however, that up to the current day, nobody has a clear answer to the allover question: how is it possible that there are genetic and cultural similarities in ancient populations in many places on the globe, very distant from each other, if we assume that the cultures in those places had no direct contact? With the latest DNA results, scientists saw themselves forced to drop this latter claim. Yet, any kind of contact doesn’t explain why red-haired mummies are found all over the globe, and why the cultural impact on all other peoples was so striking. And it has yet to be found out which human race’s members were taller than modern man and characterized by red hair. Not later than now, the question arises: was there eventually an earlier civilization, possibly highly advanced, that migrated into other continents? And if so, what were their motivations? Were they just a belligerent, aggressive people who wanted to expand and subdue all other populations? But then again, who were they? Common history about human ancestry has ignored those people’s existence entirely. They weren’t actually known until the evidence of their existence popped up with the discoveries of the mummies. So, where was their home place? Where did they originate from? Were they really descendants of European races? Or are the European races rather descendants from a people that at some point landed on European shores? Are they the so called “Civilization X”, the mysterious culture previous to everything we know about the history of mankind? Many hypothesis of the location of the mythical continent Atlantis have been made since Plato mentioned it in his works Timaeus and Critias. Many researchers consider it a great possibility that it was somewhere in the Atlantic Ocean. When it sank into the floods, some people could have managed to escape and reached the shores of distant continents. They might have brought their knowledge and culture to other tribes and peoples; they might have come in conf lict with them or tried to subdue them. However, this hypothesis would solve the DNA riddle, and explain apparently incomprehensible similarities in the different cultures. It would explain why the mysterious tall redheads appear in the tales of cultures that live far away from each other and why their mummified remains are being found in the most unthinkable places all over the globe. Unfortunately, when we search for official information about the mythical continent, we find out that its real existence keeps not being considered a possibility by scholars. Nevertheless, the fascination by the story and the search for hints for its real existence will likely never cease. Atlantis would have existed in a very distant time. Swallowed by the ocean, it left no considerable trace of its existence. Therefore, for modern science it remains a fairy tale. Nevertheless, putting together lose ends researching genetic and anthropological mysteries, the sunken continent offers a much better explanation than many scientific theories of today. The last mini Ice Age struck the northern hemisphere about A.D. 1450 and lasted 400 years. It was dubbed the “Little Ice Age.” In Canada, it had a huge impact on everything from crop yields to changing ecosystems. “The Little Ice Age decreased the number of frost-free days and altered the composition of forests,” report York University geographers Celina and Ian Campbell. 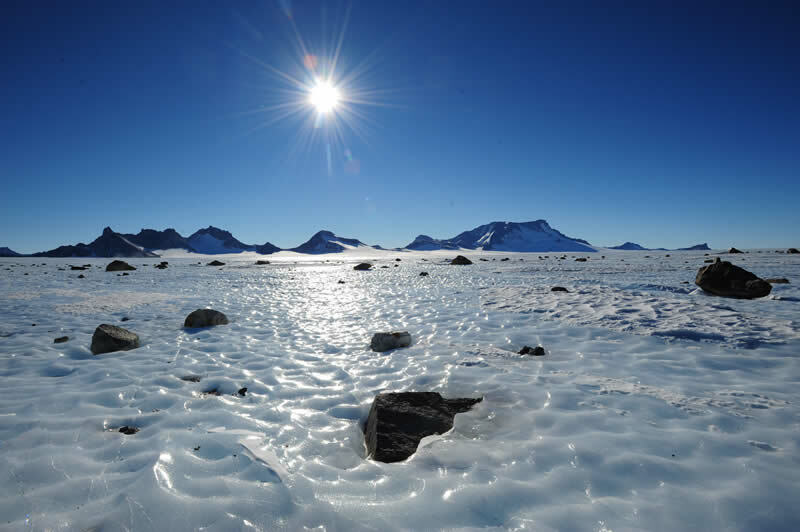 Recent meteorological and other developments have prompted some researchers to predict another mini Ice Age is likely starting to take shape. According to Habibulla Abdusamatov, an astrophysicist with the Russian Academy of Science, the northern hemisphere has been cooling since the 1990s and 2014 sets the stage for a full mini Ice Age by 2055. According to the National Oceanic Centre, the North Atlantic is cooling rapidly because the northward circulation of warm, subtropical waters has declined sharply, impacting on the Atlantic Ocean circulation system. 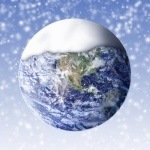 Rutgers University Global Snow Laboratory reports northern hemisphere snow cover has been increasing significantly since 1998; it reached 46.81 million square kilometres in 2014. According to NASA, the solar cycle, which will peak in 2022, is among the weakest in centuries and will enhance cooling. In North America, the National Climate Data Center has reported December 2013 to March 2014 were the coldest four consecutive months ever recorded in most of central and eastern North America. Ice cover on the Great Lakes was the second-most extensive ever recorded and the Great Lakes Environmental Research Laboratory says ice cover in early April “obliterates all previous records” at 700 per cent above normal. Little Ice Ages are not as imposing as full-blown Ice Ages. He added before the Ice Ages, the Earth was warmer than at present. He explained most interglacials last about 10,000 years, the age of the current one. At its peak, the most recent glaciation (Wisconsin glaciation) covered most of Canada and Europe with ice thousands of metres thick. Temperatures as the glaciation tapered off were five to six degrees Celsius cooler than at present. Robert Alison is a zoologist and freelance writer based in Barrie, Ont. “Is a mini ice age on the way?” asks Daily Mail and states further: “Scientists warn the Sun has ‘gone to sleep’ and say it could cause temperatures to plunge”. We’ve been prepared for Global Warming, but what happens if an ice age hits us, unprepared? Billions of dollars have been spent for the prevention of a major catastrophe provoked by Global Warming. But while we were preparing for heat, temperatures stopped rising already in 1996. Even more: temperatures have become colder in several places on Earth. The truth about this didn’t become public until a few years ago. Those who want to keep standing by Global Warming sustain that Global Cooling is actually provoked by Global Warming. There is a lot to say about this. The team of Mystica has been researching this subject for several years and had to pass through a jungle of controversial documents and information, hidden agendas, the biggest business in modern times, blatant lies and ugly old men fighting for power. The results of this investigation will be exposed in a series of articles when the time has come. Some people think that the prediction of a (mini) ice age with its devastating consequences for the nature of the planet matches the end-time-predictions of the ancient northern people. Ragnarök is the Norse Apocalypse, allegedly starting on February 22nd, 2014. The end-time events – to come at the end of this episode – are preceded by a harsh winter that puts an end to all life on Earth, called Fimbulvetr (“Fimbulwinter”). The northern hemisphere has seen very harsh winters in the last four years, topped by the temperatures in North America during the current winter 2013/2014. Some people think that Earth is going towards a major cooling resulting in an ice age or mini ice age. Fimbulvetr comes from Old Norse, meaning “awful, great winter”. The prefix “fimbul” means “the great/big” so the correct interpretation of the word is “the great winter”. However, the Fimbulwinter means not one, but three winters: Fimbulwinter is three successive winters where snow comes in from all directions, without any intervening summer. During this time, there will be innumerable wars and ties of blood will no longer be respected: the next-of-kin will lie together and brothers will kill brothers. The event is described primarily in the Poetic Edda. In the poem Vafþrúðnismál, Odin poses the question to Vafþrúðnir as to who of mankind will survive the Fimbulwinter. Vafþrúðnir responds that Líf and Lífþrasir will survive and that they will live in the forest of Hoddmímis holt. Harsh winter and low temperatures are the consequence of low sun activity. The activity of our sun has not been as low in over 100 years, scientist have warned. Conventional wisdom holds that solar activity swings back and forth like a simple pendulum. At one end of the cycle, there is a quiet time with few sunspots and flares. At the other end, solar max brings high sunspot numbers and frequent solar storms. It’s a regular rhythm that repeats every 11 years. Astronomers have been counting sunspots for centuries, and they have seen that the solar cycle is not perfectly regular. 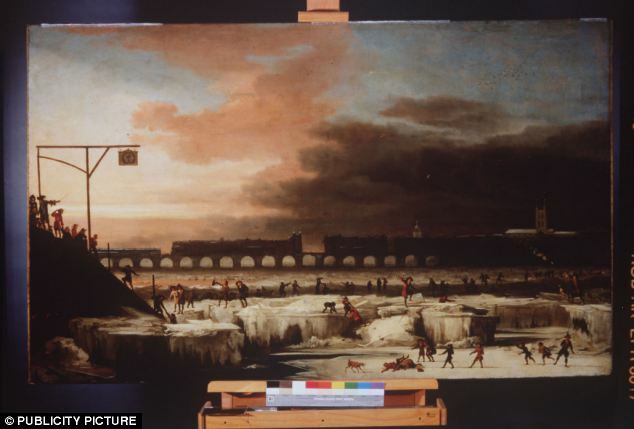 The conditions we encounter right now with the sun are eerily similar to those before the Maunder Minimum, a time in 1645 when a mini ice age hit, freezing London’s River Thames, scientists say. Researchers believe the solar lull could cause major changes, and say there is a 20% chance it could lead to ‘major changes’ in temperatures. Whatever measure you use, solar peaks are coming down,’ Richard Harrison of the Rutherford Appleton Laboratory in Oxfordshire told the BBC. He says the phenomenon could lead to colder winters similar to those during the Maunder Minimum. ‘There were cold winters, almost a mini ice age. Lucie Green of UCL believes that things could be different this time due to human activity. ‘We have 400 years of observations, and it is in a very similar to phase as it was in the runup to the Maunder Minimum. Mike Lockwood University of Reading says that the lower temperatures could affect the global jetstream, causing weather systems to collapse. “We estimate within 40 years there a 10-20% probability we will be back in Maunder Minimum territory,” he said. Last year Nasa warned “something unexpected’ is happening on the Sun. This year was supposed to be the year of ‘solar maximum,’ the peak of the 11-year sunspot cycle. But solar activity is relatively low. 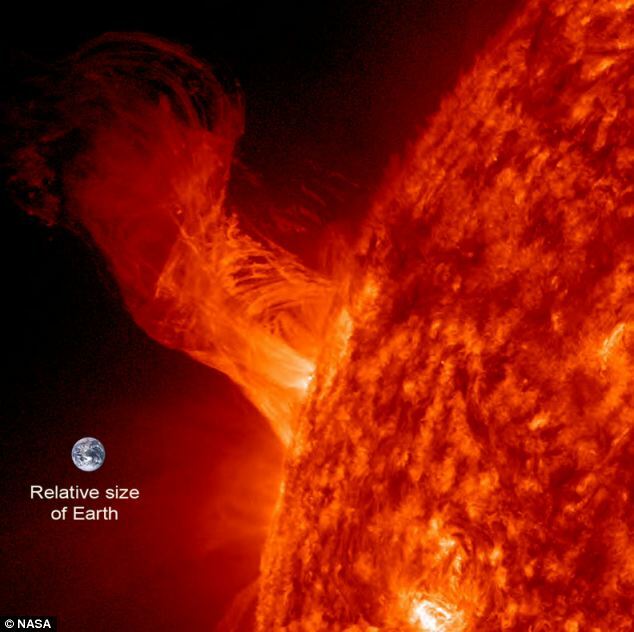 “Sunspot numbers are well below their values from 2011, and strong solar flares have been infrequent,” the space agency says. The image of the sun above shows the Earth-facing surface of the Sun on February 28, 2013, as observed by the Helioseismic and Magnetic Imager (HMI) on NASA’s Solar Dynamics Observatory. It observed just a few small sunspots on an otherwise clean face, which is usually riddled with many spots during peak solar activity. Experts have been baffled by the apparent lack of activity – with many wondering if NASA simply got it wrong. However, Solar physicist Dean Pesnell of NASA’s Goddard Space Flight Center believes he has a different explanation. Solar activity went up, dipped, then rose again, performing a mini-cycle that lasted about two years, he said. He spotted a similarity between Solar Cycle 24 and Solar Cycle 14, which had a double-peak during the first decade of the 20th century. If the two cycles are twins, ‘it would mean one peak in late 2013 and another in 2015’. For many people, these scientific facts seem to match the Ragnarök prophecy and the three winters of the Fimbulvetr and have already been provoking lots of speculations. However, scientists think that the Fimbulwinter mythology might be related to the extreme weather events of 535–536 which resulted in a notable drop in temperature across northern Europe. There have also been several popular ideas about whether or not this particular piece of mythology has a connection to the climate change that occurred in the Nordic countries at the end of the Nordic Bronze Age dating from about 650 BC. Before this climate change, the Nordic countries were considerably warmer. But the legend and the latest discoveries concerning our Sun, as much as many other elements, raise an interesting question: are there natural cycles in our solar system that bring a recurrent drastic climate change to the planet? And are so many legends and tales of ancient peoples eventually remaining of the events provoked by such cycles? Were the consequences so devastating that entire landscapes were reshaped? If we accept the idea of recurrent climate changes on Earth with catastrophic effects, we could approach lots of archeological and anthropological mysteries from a different side and maybe learn from the past to save our own lives.